The relationship between Syrian dictator Bashar al-Assad and his country’s Christian minority is far more complex than the portrait drawn by Assad allies and opponents of a U.S. military intervention, according to Christians from the region and Middle East experts. 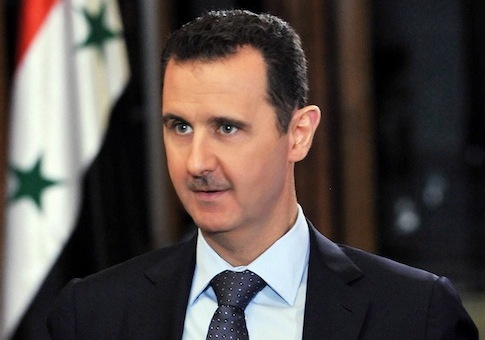 Assad’s supporters often describe the Alawite leader as a protector and ally of Christians. Opponents of a U.S. strike have now picked up the argument, pointing to brutal attacks on Christians by rebel-allied jihadist groups as evidence that the West would be better off keeping Assad in power. But Assad’s critics say the anti-Christian violence by extremist opposition factions does not mean that Assad should be exonerated as a friend to Christians. "The idea that somehow [Assad] was a protector of Christians is just absurd," said Tony Badran, a Middle East expert at the Foundation for Defense of Democracies who was born and raised in Lebanon. "He’s a protector of himself and his regime. Anyone who gets in the way will be eliminated." While Christians in Syria largely support Assad, there are Christians among the opposition, most notably George Sabra, who served as president of Syria’s chief opposition group until July. Rev. Paolo Dall'Oglio, a prominent critic of Assad, was forcibly exiled in 2012, and activist Basil Shehadi was supporting the opposition when a regime sniper reportedly killed him. Ahed al-Hendi, a Christian Syrian opposition activist who moved to the United States in 2007, objected to the notion that Assad has been good to religious minorities. "[Assad] wants the Christians to protect him," said Hendi. "He’s not protecting the Christians." Hendi said he has concerns about the possibility of a post-Assad takeover by Islamists but argued the West can help prevent this by providing more support to the moderate opposition. "Of course I support the strike against Assad, and of course I’m concerned at the same time," he said. "Anybody who has a little bit of brains would be concerned about what happens next." Syria’s secular Ba’ath regime depends on a coalition of minorities, including Christians who make up roughly 10 percent of the population. Many backed Assad after the country’s civil war broke out in 2011 in exchange for having been allowed to practice their religion. But there are still some legal restrictions. The constitution passed in 2012 bars non-Muslims from becoming president. It is illegal to be a Jehovah’s Witness, which the government contends is too similar to Judaism. There are also laws against proselytizing, an obstacle for certain Christian sects. They are also subject to the same general persecution as the rest of the population, including arbitrary imprisonment, forced exile, and restrictions on political activity, Middle East experts note. "Under [Assad’s] command, it’s not like [Christians] have privileges," said Badran. "They were basically allowed to exist as apolitical creatures. You can do your rituals, you can do whatever you need to do. But they’re not in a position of power or anything like that." A propaganda battle recently broke out between the opposition and the regime, after the Christian village of Maaloula was seized by the Free Syrian Army and the rebel-affiliated jihadist group al-Nusra Front. The rebels released videos claiming they would not harm the town’s inhabitants, while the regime released videos showing violence and damage to churches, reported Haaretz. "I don’t think Assad [an Alawite] has a particular religious ideology, but this is one way for Assad to blackmail the West … to use the fear [of] terrorists and radicalism," said Joseph Gebeily, a Lebanese Maronite who says he was forcibly exiled by the Assad-backed Lebanese government in 1993. Gebeily is also president of the Lebanese Information Center, which supports a U.S. strike on Syria. Gebeily says this is one reason the Syrian regime under Assad and his father, Hafez al-Assad, have actively supported terrorist organizations such as Al Qaeda in Iraq and Hezbollah in Lebanon. "From father to son they want it to appear as being moderate, non-radical, et cetera," he said. "But if you look at the facts, their support to all these groups, radical Islamists, whether it’s Sunni or Shia, it definitely goes against any idea or any concept that these leaders are friendly to the Christians or moderates. Their main allies in the Arab world are radical groups, radical Muslim groups." In Lebanon, where many Christians recall Hafez al-Assad’s intervention in the Lebanese Civil War, polling has shown the majority of Lebanese Christians oppose Bashar al-Assad. Gebeily recalled Syrian military attacks on Christian areas during the war, such as the 1978 siege on a Beirut district and the 1981 attack on the city of Zahle. "We all of a sudden have developed amnesia as to who this [Assad] guy is and what his history is and his father’s history, is," he said. Critics also note Bashar al-Assad’s suspected role in the assassination campaign against political opponents in Lebanon, including prominent Christians. Christian parliament members Gibran Tueni and Antoine Ghanem and military officer Gen. Francois al-Hajj were killed in car bombings 2005 and 2007. Cabinet member Pierre Gemayel was gunned down in 2006. Christian leader Samir Geagea and journalist May Chidiac were targeted by failed assassination attempts in 2012 and 2005. "[The Assad regime] waged war against Christian villages in Lebanon, systematically assassinated Christian political and cultural figures," said Badran. Assad and his supporters have emphasized the al Qaeda-affiliated elements among the rebel forces. While there are conflicting estimates over how large of a minority is made up of jihadists, Assad has claimed the majority of rebel fighters are "al Qaeda." "Go ahead and support al Qaeda. But don't talk about rebels and Free Syrian Army and so on. The majority of fighters now are al Qaeda," Assad told Charlie Rose during a recent interview. "If you want to support them, you are supporting al Qaeda." Sen. Rand Paul (R., Ky.), one of the most vocal opponents of a Syria strike, has routinely cited Syrian Christians while arguing against U.S. intervention. "I see Assad, who has protected Christians for a number of decades, and then I see the Islamic rebels on the other side who have been attacking Christians," said Paul on "Meet the Press." The Syrian regime’s defense of Christians was a common refrain at a pro-Assad protest outside the White House earlier this month. "The majority of Syrian people want Assad," protester Rita Masouh, 40, told the Washington Free Beacon during the event. "We don’t want extremists and radicals to take over. They’re coming from all over—Chechnya, Libya, Afghanistan." Hendi criticized Assad’s Syrian Christian supporters in the United States, saying they are using their freedom here to lobby for the continuation of an oppressive regime in Syria. "These people, they’ve been living here for decades. They look at Syria as a vacation spot. They go to Syria, they have some fun in the summer," he said. "They think now that the revolution ruined everything for them. It’s not the revolution. It’s Assad." This entry was posted in Politics and tagged Bashar al-Assad, Middle East, Syria. Bookmark the permalink.